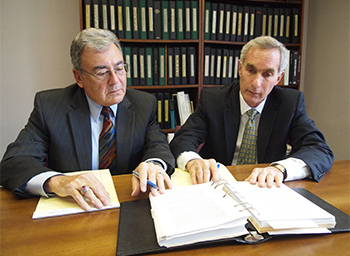 Alan S. Biernbaum is the founding partner in the law firm of Biernbaum & Meyer, LLP with over 49 years of experience as a practicing attorney. His expertise encompasses the areas of real estate, corporate and business planning, estate planning and administration, matrimonial law, and civil litigation. Mr. Biernbaum has lectured for the Monroe County Bar Association and other community organizations on estate planning, matrimonial law, and financial planning for retirement. He has also authored articles on fee arbitrations and mediations for the Monroe County Bar Association’s “Views” publication. Mr. Biernbaum was an adjunct faculty member at the Rochester Institute of Technology for over 30 years in Business Law, Government Regulation of Business, and the Paralegal Program on Estate Planning and Administration. He has also served as an Administrative Law Judge for the Executive Department, New York State Division of Human Rights and the New York State Department of Environmental Conservation. Mr. Biernbaum is currently a member of the Estate Planning Council; serves on the Monroe County Bar Association House Finance and Audit Committee, and has served as a member of the New York State Grievance Committee for the Seventh Judicial District and the Monroe County Bar Association's Ethics and Judiciary committees. He is a past treasurer of the Monroe County Bar Association and former chair of the Fee Arbitration and Membership Committees. He is a New York State Certified Mediator and is a past director for the Volunteer Legal Services Project of Monroe County. 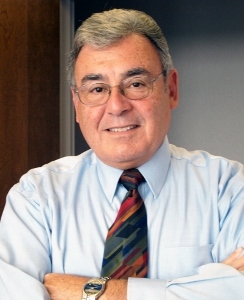 Mr. Biernbaum’s undergraduate degree in accounting makes him uniquely qualified to handle business transactions and provide both legal and financial advice. Mr. Biernbaum has represented business owners and companies involving a wide variety of legal issues including mergers and acquisitions. In addition to serving as outside counsel to many corporations, he has a wealth of experience in the preparation of shareholder and partnership agreements, consulting and employment agreements, operating agreements and buy-sell agreements. His diverse commercial real estate experience has involved shopping centers, apartment projects, and industrial facilities.